Our new Strand and Carnaby style foldable espadrilles are quickly becoming this season’s hottest tickets and are gracing the feet and pages of bloggers, fashionistas and glossy mags. Scroll down for more. 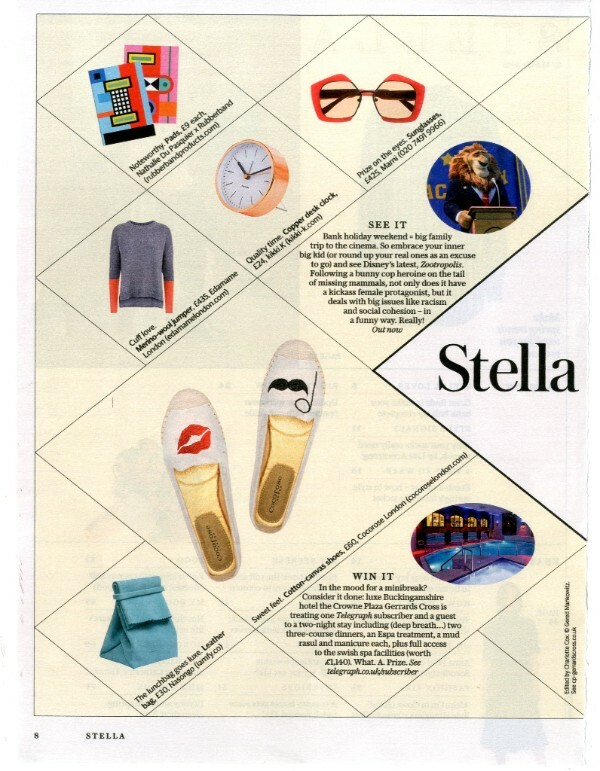 We had a fantastic feature in last weekend’s Easter Sunday Stella Magazine, who love our Carnaby style Foldable Espadrilles. Orange and ironic humour are key trends this season, so hit the jackpot with two trends in one. Bring on the summer vibe with our fun and flirty XO foldable espadrilles in trend colour tangerine. One not to be missed. Our new Strand style foldable espadrilles will have you in the mood for summer, whether you opt for dreamy crochet or fun and playful embellishments. Get your summer chic on.